I tend to follow that quote when I hear people say things, and then I watch the things they say and do when they forget what sounded good at the time. Remember, I don't claim to be innocent of these hypocritical inconsistencies that I find others committing, but it reminds me to be consistent with a given philosophy or alter my perceptions. Altering ones perspective on how to attack something or think can also mean growth and improvement. Whether it is character, or even coaching strategies that evolution of the mind is an important aspect of life. However, I love the classic uniforms that I grew up with, and still think some things should be similar if not the same, but there are things that are just done that needs to be looked at again. +College Football Bowls vs. having a tournament that encompasses more than 4 teams might be that, but I feel I am violating something that is beyond any one normal writer can influence. I loved bowl games growing up, however I spent 42 years of my life excepting a championship game that was voted on or computed so I'll take the baby steps. One thing I can say is that the champion wasn't as important for the kids who didn't win as the journey was that they took throughout the season. Are we changing that or are we just altering the journey? 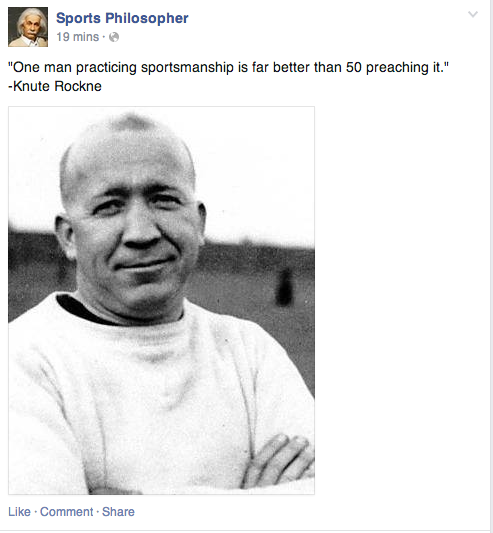 For the younger folks reading this quote, Knute Rockne was a great football player and coach for The University of Notre Dame. 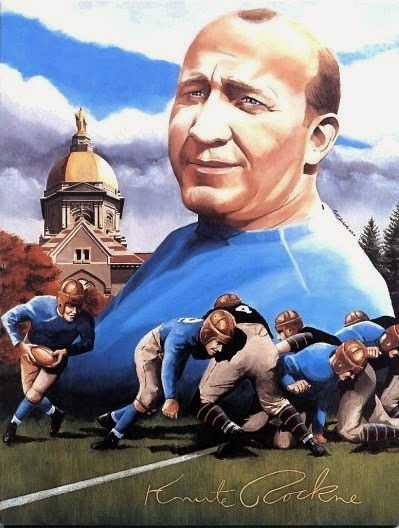 He was immortalized already in college football lore, but most recently in the speeches given in the movie Rudy. Whatever is thought about a rival college like the +University of Notre Dame or any professional team that may be despised as an enemy, I feel that each coach and player should be judged separately and not begrudged as a person other than just an enemy team. To change a phrase, hate the jersey not the person wearing it. I have missed a lot of good perspectives or other ways of thinking by ignoring the success or even failure of the coaches or players I have faced.